Relish the wonders of Classic Literature in B.J. Harrison’s second season of The Classic Tales Podcast. 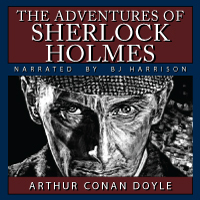 Experience more of the greatest fiction ever written, as it comes to life in this unprecedented audiobook. Adventure from Jack London and Edgar Rice Burroughs, gothic suspense from Wilkie Collins and Edgar Allan Poe, humor from Mark Twain and P.G. 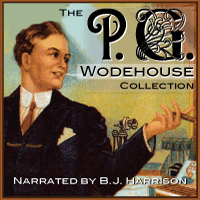 Wodehouse – this collection has it all, complete and unabridged. Running time is over 37 hours! Once your transaction goes through, you'll receive by email a link where you can download the audiobook. It consists of three (3) zipped files. The download link will be active for 3 days. If you ever need more time, just respond to the download email, and we'll hook you up with all the time you need. This season collection of podcasts had innumerable repeats from the 3 parts downloaded. It was a super hassle deleting the repeats, taking lots of time and back and forth. Only Part 1 had something different--'the Blue Carbuncle". This is definitely an oddity as BJ is usually fanatical about accuracy and efficacy. From Ian Newton of Baltimore, Maryland on 10/1/2015 . A few books I'd previously read, and some new. All read with that caring inflection I've come to expect from BJ. The Highwayman and The Rime of the Ancient Mariner were the first rhyming verses I can recall hearing from BJ, so that's a bonus. I really got my kicks with the Blue Cross. More great stories. BJ has a great voice and keeps the characters clear through changes in his diction. The only thing that would make this better is if the multi-part recordings were merged into a one file for each story. From Teresa Henshaw of Sydney, Australia on 1/30/2014 . Excellent productions. Have listened to these through iTunes and just had to have them in my library. From chris of san diego, California on 9/12/2012 . I'm really enjoying this collection of stories read by BJ Harrison. 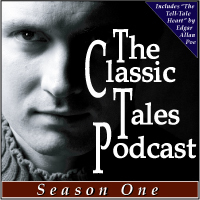 He does a very good job in narration, and the stories are great!